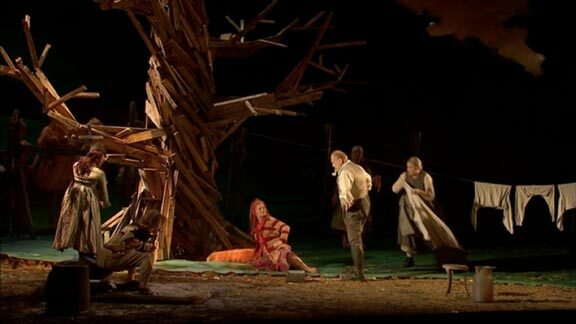 Recorded at Glyndebourne in 2012, a magical production that successfully contrasts the animal and human worlds. Lucy Crowe is outstanding in the title role, and the orchestra and filming are excellent. Glyndebourne Chorus, London Philharmonic Orchestra, conducted by Vladimir Jurowski, 2012. Cast: Lucy Crowe (Vixen), Sergei Leiferkus (Forester), Emma Bell (Fox), Jean Rigby (Forester's wife).